Demonia's Scene 107 is an awesome vegan leather knee high boot. This gothic lace up boot has an inside zip making it easy to put on. 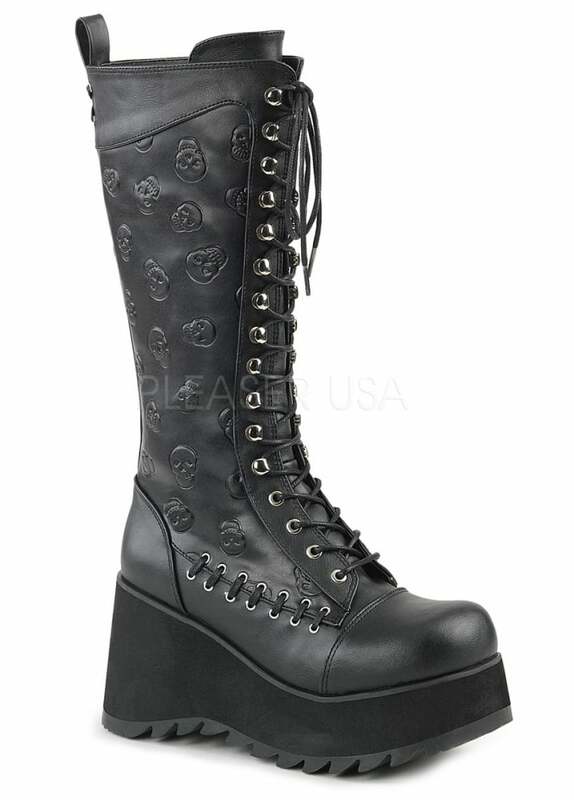 The boot has embossed skulls on the side panel and a little lacing detail.The 3.5" platform makes this boot really comfy.